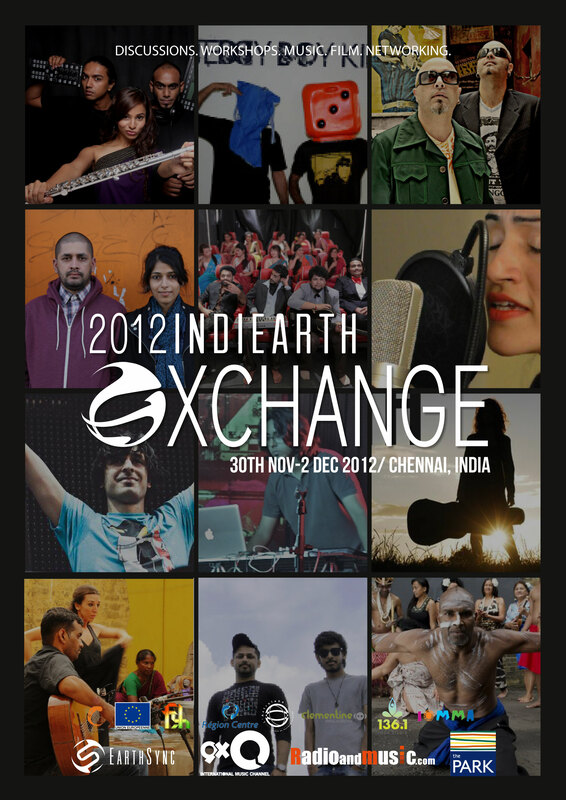 When great minds come together, great ideas are born – the IndiEarth XChange 2012, aims to usher in the birth of a new era, in the Indian independent music and film industries. The world music conference/festival will bring together delegates from around India, and from over 11 different countries around the globe, to engage in a series of think tank sessions and panel discussions. The aim of the discussions, is to generate sustainable models, facilitating vital networks for the infrastructure of the Indian independent music and film industries. Artists, delegates, and press, will all come together in these forums, bringing in their fresh and unique ideas. This eclectic, and inspiring line up of delegates, are from different factions of the music and film industries, bringing a variety of different perspectives to the table. Representing India will be key figures like Luke Kenny, founder of 9XO – also former head of programming and artist relations at Vh1; Dhruv Jagasia of Only Much Louder; Sonya Mazumdar, the co-founder, and CEO of EarthSync world music record label; Grammy award winning Tanvi Shah; Varinder Singh Kundu from the Films Division Govt. of India; and many other inspiring individuals. From other parts of the globe, delegates like Romuald Requena from Sakifo Records will be present, bringing with him years of experience as a label manager and music producer; LA born DJ and MC Astroblack; Fred Robb, director of L’Astrolabe – a live music venue in Orleans, France – to mention just a few.